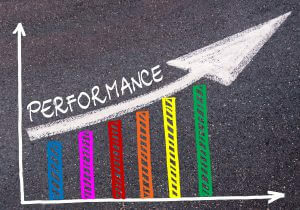 KPI (Key Performance Indicator) -measurable values which demonstrate how efficient a corporation is at attaining key objectives of the business. KPIs are used for evaluation of success in the attainment of targets. Revenue: it is one of the most significant performance indicators to evaluate the success of the organization. Bookkeeping helps you in evaluating revenue. Expenditure: calculate cost effectiveness to find out the best methods for reduction and managing of costs. Expenses are determined from good bookkeeping practices. LOB profits vs. objective: it is an evaluation of actual profits and projected profits to identify the performance of a department. Expenditure Of supplies Sold: evaluate profit margin by calculation of production costs and assess product markup and actual profit margin. Day transaction Outstanding: better the accounts receivable, better is the efficiency of the organization. Sale by area: analysis of sales area-wide helps in making better strategies in areas where sales objectives are failing to achieve. LOB operating expense Vs. Budget: comparison of forecasted budget and actual overheads helps in creating an effective budget for the future. Client Lifetime Value (CLV): CLV is helpful in determining the value received from a long term client of the organization. This is useful in keeping the best customers. Client Acquisition Cost (CAC): it helps in evaluating the cost effectiveness of a marketing campaign. Client Satisfaction & custody: by making customers happy and satisfied, you encourage them to become permanent customers. Net Promoter Score (NPS): make a survey quarterly and evaluate company’s growth for long periods. Number Of clients: this is simple and straight forward KPI like Profit. Number of customers gained or lost determine whether customers’ needs are met or not. Client Support Tickets: analysis of CPT helps in creating a successful customer service dept. Percentage Of manufactured goods defect: lesser the number, the better is performed. LOB effectiveness evaluates: Efficiency is measured by the number of products manufactured in specific periods. Employee Turnover Rate (ETR): high ETR requires investigation and evaluation of packages and organization culture. Percentage of Response to Open Positions: large number of applicants depict that the organization is doing well and people want to work with you. Employee Satisfaction: the larger the number of happy employees, the healthier the organization. Retirement Rate: This is important for developing strategic workforce plans. Knowledge Achieved With Training: determines the value of employee training and knowledge enhancement. Internal Promotions vs. External Hires: this metric is valuable for determining succession planning of the organization. Salary Competitiveness Ratio (SCR): used to assess the competitiveness of compensation options. Customer Churn Rate: determines percentage of customers who stop purchasing or availing the service. Contact Volume By Channel: determines the number of customer requests and also the method adopted by customer for communication i.e email, phone or other. Percentage Of Customers Who Are “Very” Or “Extremely” Satisfied: Determines the opportunity to survey the expectations of customers. Number Of New Vs. Repeat Site Visits: provides a differentiation of prospective clients and website traffic. Cash Flow from Financing Activities: demonstrates financial strength. Average Annual Expenses To Serve One Customer: the average sum required to serve one customer. EBITDA (Earnings before Interest, Taxes, Depreciation, & Amortization): Formula: (Revenue) – (Expenses Excluding Interest, Tax, Depreciation & Amortization) = (EBITDA). Innovation Spending: the higher the spending figure, the more the value of innovation in an organization. (Customer Lifetime Value) / (Customer Acquisition Cost): this value should be greater than one. Periodic evaluation of KPIs is helpful in making a better strategy for entrepreneurship. It guides in making adjustments necessary for growth and expansion.